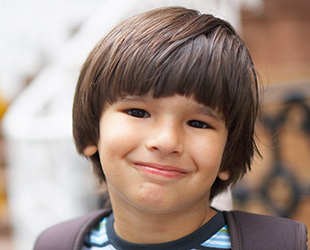 Media Matters for America, a nonprofit research center, has completed a study of media coverage of Social Security by television news programs in the second half of 2013. 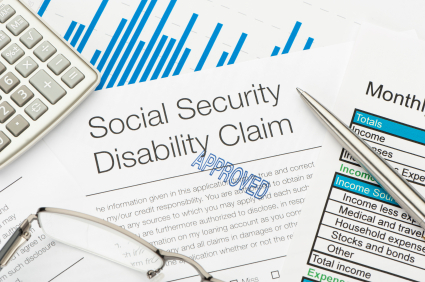 The group looked at whether individual news segments focused on the need to cut costs in the Social Security program, the need to resist cuts, the need to strengthen the program, or other aspects. The results show a striking bias: more than half of the news segments focused on the supposed need to cut costs. 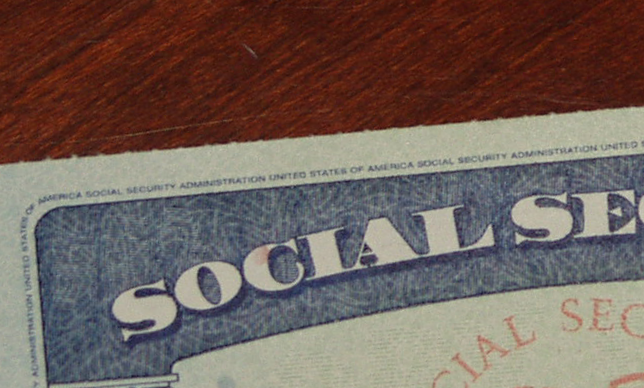 This is especially remarkable considering the overall financial stability of the Social Security system: with modest changes, full benefits can be paid indefinitely. The organization provides a chart showing the breakdown of different types of stories by network, and this is even more striking. If we suppose that an “objective” media organization would give equal weight to the view that Social Security should be cut and the view that it should be strengthened (or that cuts should be resisted), then we can see that one cable news channel is wildly off balance. Fox News aired 62 segments calling for Social Security cuts in the time period studied, and 4 segments defending the program. CNN was nearly as biased, with 20 segments in favor of cuts and 2 segments against. MSNBC was biased in the other direction, but not to as great a degree: the channel aired 42 segments calling for strengthening the program or resisting cuts, and 6 segments favoring cuts. 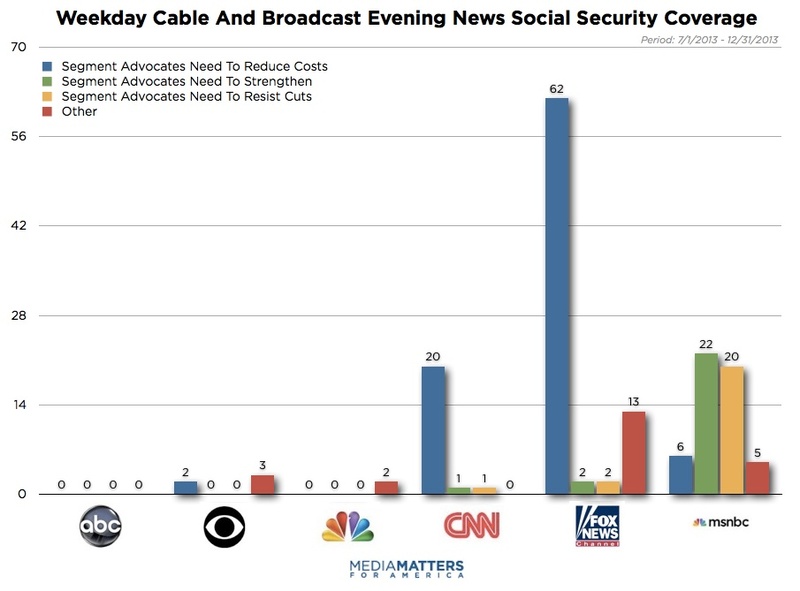 The three broadcast networks aired very little in-depth coverage of Social Security.